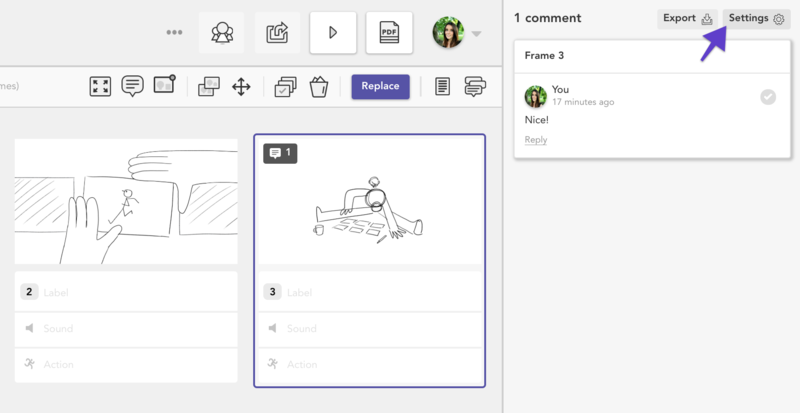 Receiving email notifications for comments can be useful when you want to keep up to date with the feedback that's being left on your storyboards. 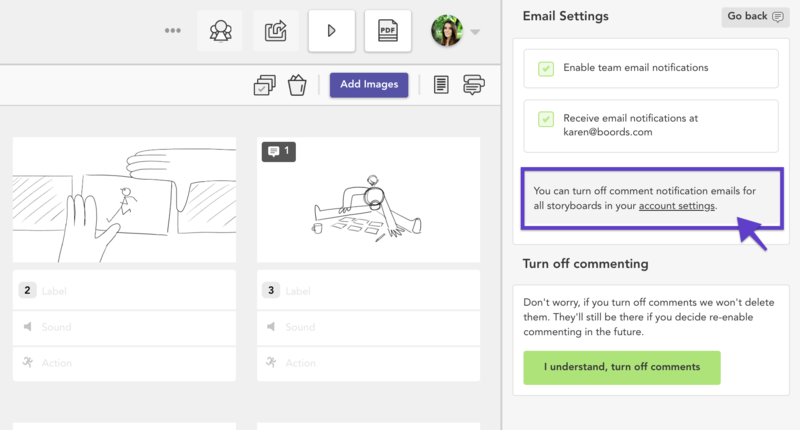 Note: By default, all team members for a given storyboard will receive email notifications when new comments are left by other users or guests. 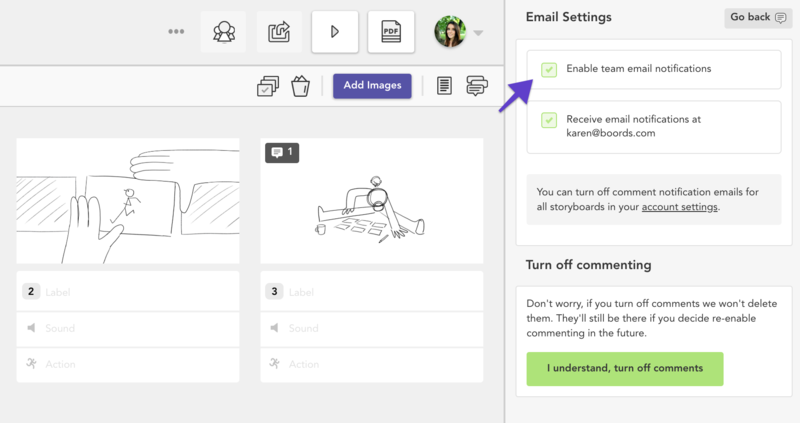 To control email notifications for all members on your Team, first click the Comments icon to open the sidebar. Check or uncheck the Enable team email notifications box, depending on your preferences (uncheck to disable). This will turn off email notifications for that particular storyboard. If you'd like your teammates to receive notifications, but you'd rather not get them, uncheck the second box, which will stop notifications from being sent to your mailbox. 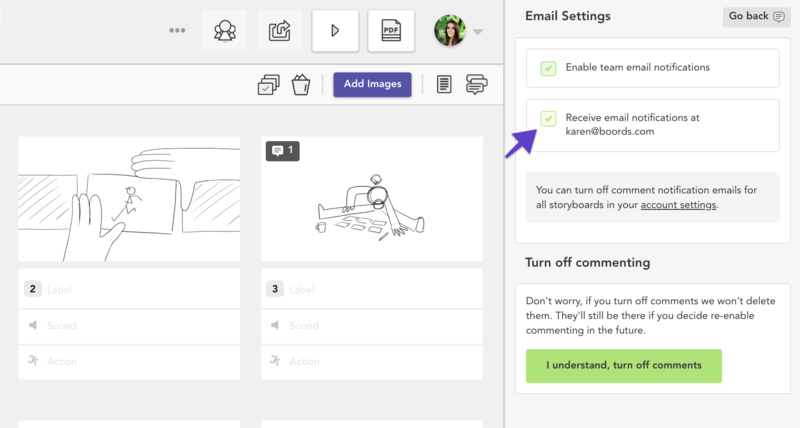 Comment notification emails for all storyboards can be disabled from within the Settings & Profile section of your account. 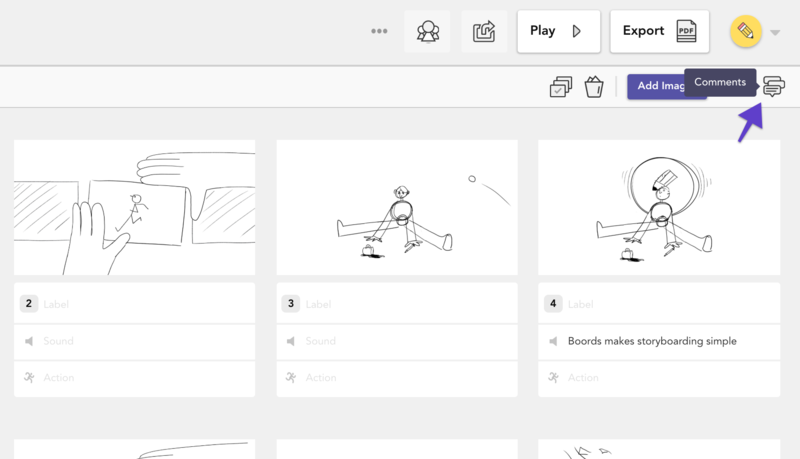 This section can also be accessed from the Commenting sidebar. Toggle to grey to disable notifications.